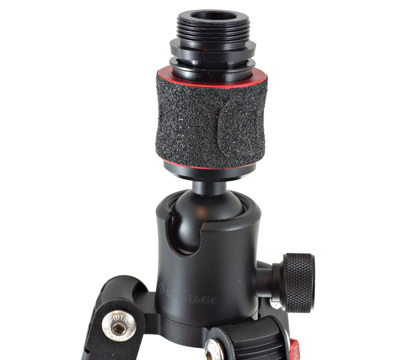 The 360° Vertical Fore Grip (VFG) Quick Detach Tripod is compatible with and exclusive to the 2nd Generation 360° Vertical Fore Grip/Rotating Fore Grip (VFG) (sold separately - part #18045). 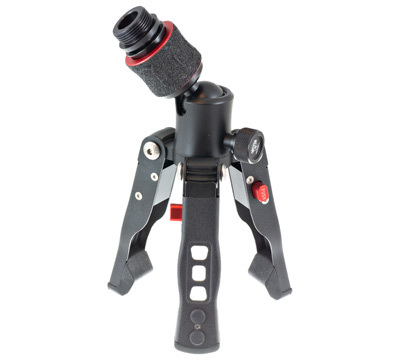 The adjustment possibilities are almost infinite and it can also be used as a bipod. 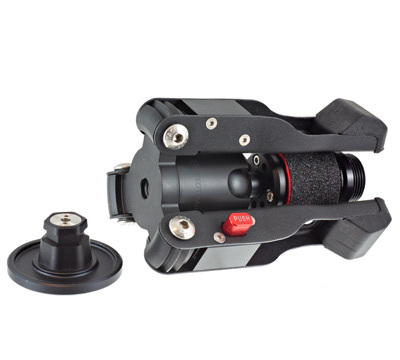 Smooth 360° rotation and a full tilt function allows you to acquire targets quickly for an accurate shot every time. 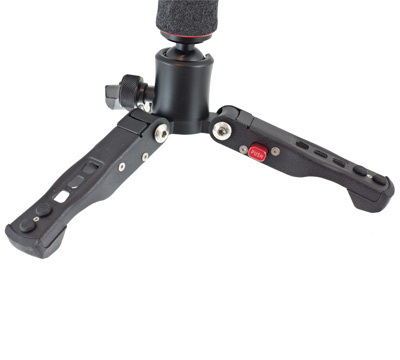 The Quick Detach Tripod has a single hand operated lock & unlock mechanism. 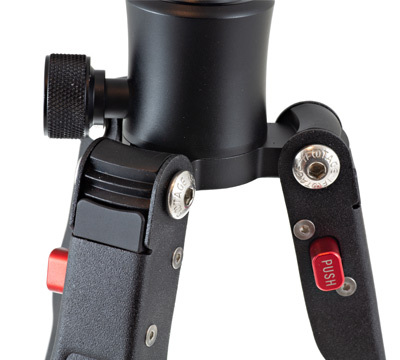 There's no button, no twisting - just a simple slide down to release & slide up to lock. It can be set to 3 different angles (20°, 50° & 78°). Just push, click & lock - easy to use. It is constructed of aluminum and has extreme temperature resistance, is sturdy, long lasting and lightweight with a high quality finish. Small enough to fit comfortably in a pack or range bag. Product dimensions are 6" W x 9.5" H. Weighs just 1 lb., 2.7 oz. Made in the USA by Mid-Evil.